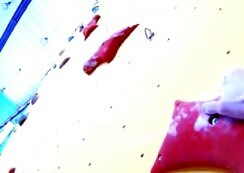 Trainings are for advanced climbers. (We do not teach basics.) 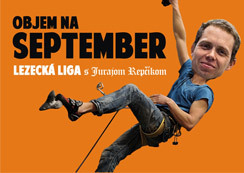 Tomáš Mrázek (multiple world champion in climbing) will prepare you personal training. He will professionally guide you how to prepare you trainig, how and when to rest. You will focus on exactly what you want to improve. You can also prepare for competitions. He will advice you how to improve your performace. In case of interest contact us at tomasmrazek@tomasmrazek.cz, or at lezeckastena@lezeckastena.sk.